2016 has been a big year for HTC Company. After the One A9 and Desire 530 disappointed in 2015, now this company makes a return with HTC 10. And to keep it going, the company will unveil HTC Desire 10 on September 20. HTC 10 is an excellent device, which embodies the painstaking efforts of many people. 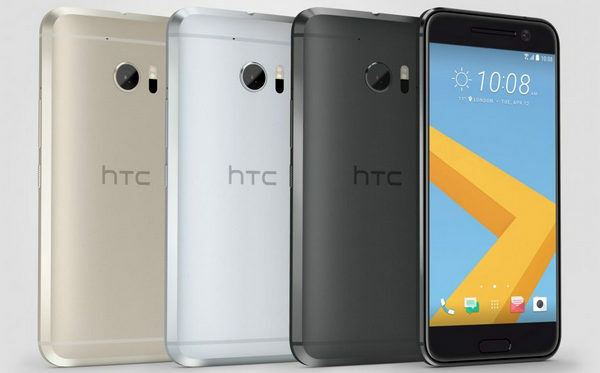 In the aesthetics design, HTC 10 is clearly made from metal, which contributes to the cool touching of its back, with an elegant curve and perfect chamfers that helps it sit nicely in your hand. 2560 x 1440 quad-HD resolutions provides you perfect visual feast for watching HD videos on the phone. In addition to it, the most attractive thing is acoustic quality, HTC 10 adds the new generation of HTC BoomSound that combines the low pitch with high pitch reasonably, which makes the details of music more close to the professional audio. 4GB RAM, Snapdragon 820, removable MicroSD card slot, all of them will give people the best Android experience. According to past leaks and rumors, HTC Desire 10 is not one phone, but two - the Desire 10 Pro and the Desire 10 Lifestyle. The two should come with a very similar design, but the Pro will be higher-end than the Lifestyle. The HTC Desire 10 Lifestyle is rumored to feature a 5.5in HD (1280x720) screen and a quad-core Qualcomm Snapdragon 400 processor with Adreno 305 graphics, 3GB of RAM and 32GB of storage or 2GB of RAM and 16GB of storage, will cost between $150 and $200. HTC Desire 10 Pro is featured a 5.5in HD screen, but its resolution is higher than the Desire 10 Lifestyle, is 1080 x 1920 pixels. The front-facing camera will reportedly be a 5MP one, the primary camera is a 13MP one. The Pro will come with a better spec sheet, but there are not any concrete details about that. Can We Play iTunes HD Movies on HTC 10 or Desire 10? A decade ago, a special mode "iTunes+ iPod", provided by Apple Company, made people get used to synchronizing their mobile device with the computer. But along with the smartphone market increasingly mature, people get more and more choices. So after a crazy purchasing of HTC 10, a great number of consumers meet the same problem: they cannot use their new HTC 10 smartphone to play iTunes movies. Actually, the cause of the above problem is that Apple encodes iTunes movies with DRM protection, so it prevents people from converting their favorite movies or playing them on non-apple devices. It is Apple's marketing strategy, and so it is not realistic to expect Apple Company to solve it. Steve Jobs will tell you: "it's easy, just buy an iPhone". Or as someone says, change your computer. Humanity's wisdom is infinite, anything cannot prevent humanity's advance. 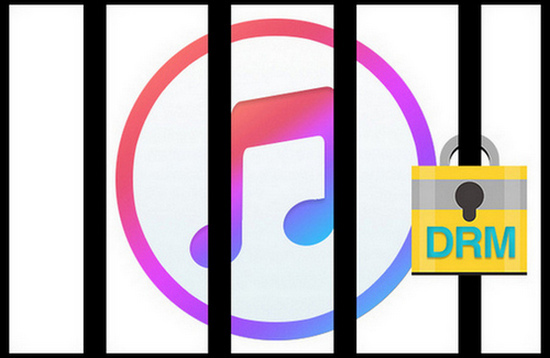 To fight with DRM, most of them determine to find software to solve it. However it is regret that most of software in the market is based on screen recording technology. We can save iTunes video with it, but you have to play it till to the end when recording it. It will break you down. So is there any way to watch iTunes movies on HTC 10 or Desire 10 efficiently? 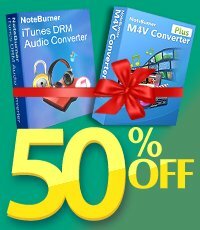 NoteBurner M4V Converter Plus (For Mac & For Windows) is an excellent M4V DRM removal tool, which provides people with a perfect way to convert purchased and rented iTunes M4V videos. 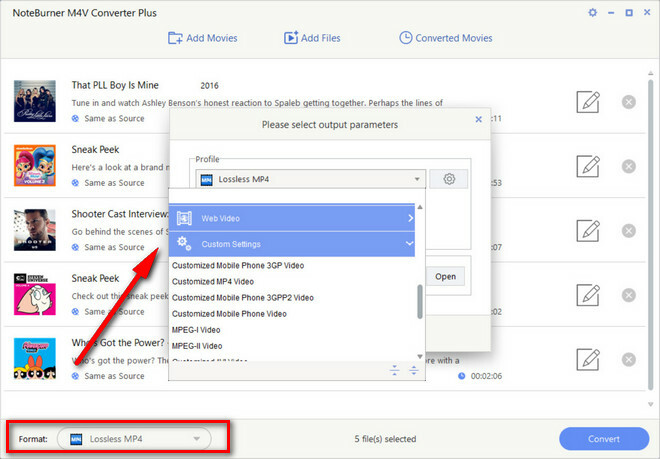 It supports the conversion of multiple formats, such as M4V to MP4, MOV, AVI, etc. In addition to this, the most important is that it can preserve videos with original video quality. In this way, you can enjoy iTunes movies on HTC 10 and HTC Desire 10 without restriction and keep iTunes rentals forever. The following tutorial will tell us how to make it happen. After the successful adding, the next one is choosing the output format according to your need. Click the little inverted triangle on the "Lossless MP4" button. The best way to preserve original video quality is outputting lossless MP4, but if you want other formats, please click "more…". And then click the little inverted triangle in the pop-up window, then choose the devices you want to play video. After it, the button "Lossless MP4"will change into the devices you choose, what you need to do is click it. After the above step, your video will begin to convert. Just need a few minutes, it will succeed, so what you need to do is link your HTC 10 or HTC Desire 10 with your computer, and then transfer the videos to your phone.